All the best Adaptogen Science 100% Beef deals in one place! 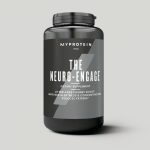 Compare prices from all the top online stores to find the best price on Adaptogen Science 100% Beef. Fitness Deal News does the hard work for you of finding the best deals & coupons on everything fitness. 100% Beef protein is a USDA produced Beef Protein Isolate that is manufactured from fresh raw beef. Adaptogen Scienceâs main concern is searching around the world for the best of the best ingredients available to use in our products. As a result, we use BeefISOTM, which is a Beef protein powder isolate with 99% protein. Everything You Need… Nothing You Don’t. We donât add any amino acids or Creatine, which would only count as lower quality protein! Beef protein has a reputation of not being the best tasting protein… We crushed this paradigm!